Equidronate 500mg lyophilisate is used to treat lameness caused by degenerative bone conditions in the horse, such as osteoarthritis of the hock joint (bone spavin) and navicular syndrome. Equidronate 500mg lyophilisate is composed of the bisphosphonate, Tiludronic Acid. It inhibits bone resorption by targeting the cells (osteoclasts) causing bone breakdown and reduces their action. It also encourages new bone formation by activating the cells that synthesise new bone (osteoclasts). Equidronate was previously known as ‘Tildren’. It must be administered by slow intravenous infusion (> 30 mins). 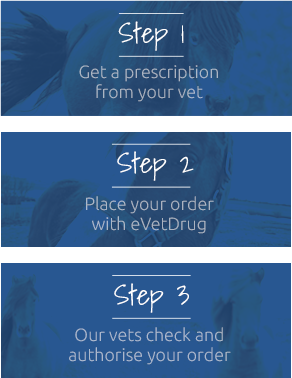 We recommend it be administered by a veterinary surgeon as side effects can occur, including sweating, mild muscle tremors and transient, mild colic. Horses must be carefully monitored following treatment. Warnings & Contraindications- This product is contraindicated in horses less than 3 years old and in those with impaired renal function. 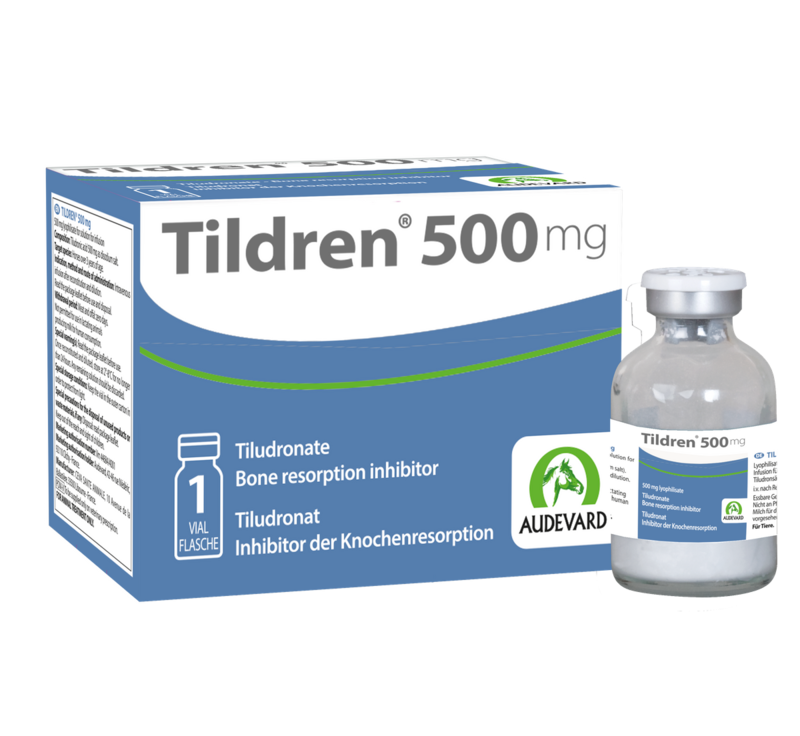 The product should not be administered in cases of known hypersensitivity to bisphosphonates or to any of the excipients. Avoid self-injection; if it occurs, seek medical attention. Pregnancy & Lactation- It should not be used in pregnant or lactating mares, as its safety with them has not been studied.